All the scoring was finished by the second inning. Even Jon Lester, the opening day starter, has fallen into a familiar losing pattern: give up the lead early and depart after a handful of innings from having expended so many pitches. 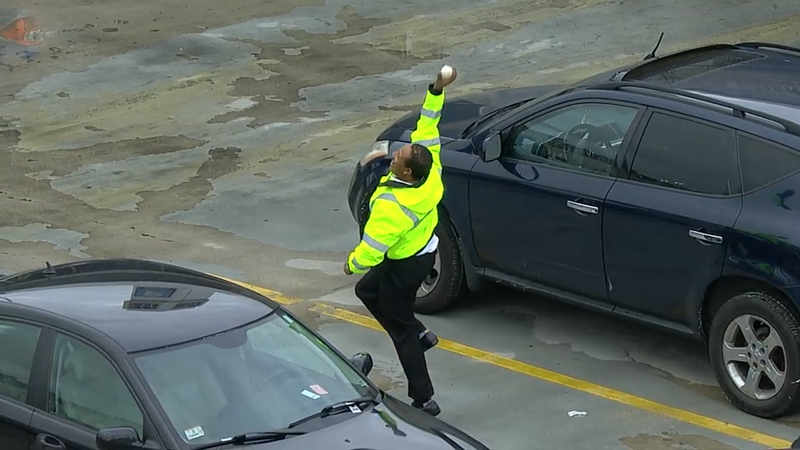 The only folks happy about this afternoon’s game were the Toronto Blue Jays (who took sole possession of first place in the American League East), their fan Geddy Lee, and this guy (who caught Xander Bogaerts’s second inning home run ball). With this loss the Boston squad has been swept in two consecutive series and extended their losing streak to seven games. The Red Sox face the last place Tampa Bay Rays next. Just two games in the loss column separate these two teams. Will the Red Sox keep ahead of the slowest swimmer or get caught by the Rays? Will I have to learn how to spell “Samardzija” without looking it up? Ben Cherington might look to discuss acquiring the standout starter from former colleagues Theo Epstein and Jed Hoyer to shore up the rotation. We learned how to spell “Mientkiewicz” in 2004 so this Serbian surname shouldn’t be so much of a challenge.